Phillip Audsley, Peter Venn, Arthur Stead, Dale Baxter and Steven Odgaard. 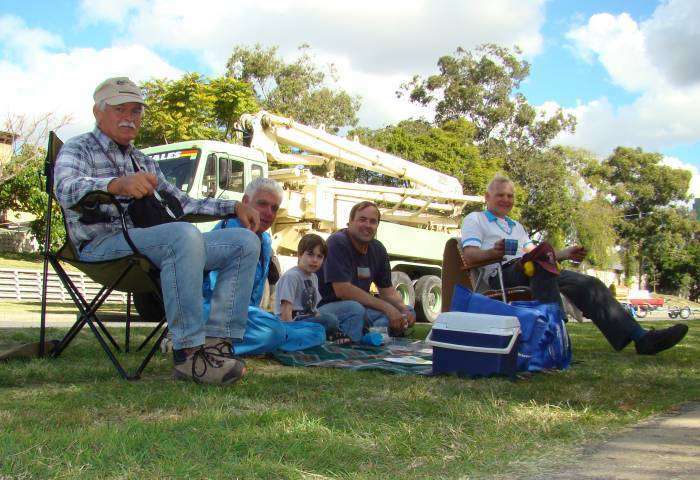 Tony Hogben from Curra near Gympie was in attendance by proxy. Cruise report - Riverside Drive, South Brisbane, Saturday 25th July 2009. 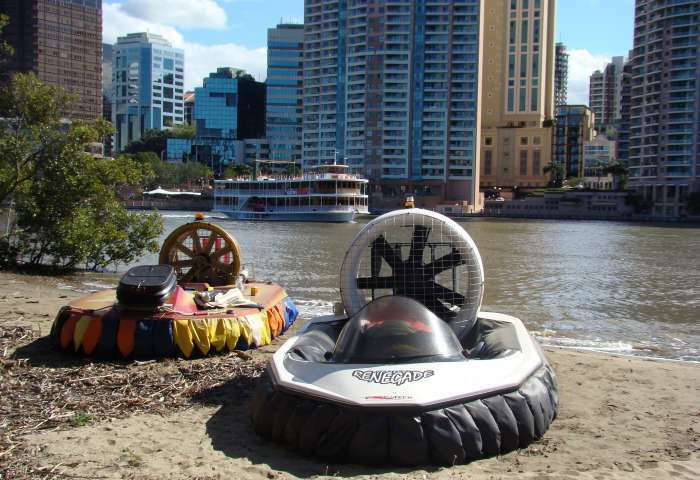 The last club cruise was held on Saturday 25th July 2009 on the Brisbane River at South Brisbane. Des Goss and Arthur Stead set off upstream at around 9:30 am and cruised to Fig Tree Pocket where they settled down on the banks of the Brisbane River for a brief period before continuing up the river. The water this far upstream has turned a murky brown colour with runoff from recent rains and the amount of debris floating past has produced an obstacle course for the craft. They decided to make Jindalee the turnaround point, and headed back to the Fig Tree Pocket boat ramp for a tea break before making the return journey to South Brisbane along the wide meandering river. In the meantime, Zachary was entertained by Steven Odgaard and his Bill Baker 2 at the Riverside Drive boat ramp. Steven found water pooled in cavities under the magneto ignition system, which boils when the engine reaches operating temperature, thus explaining the frequent stalling after 5 minutes from setting off. 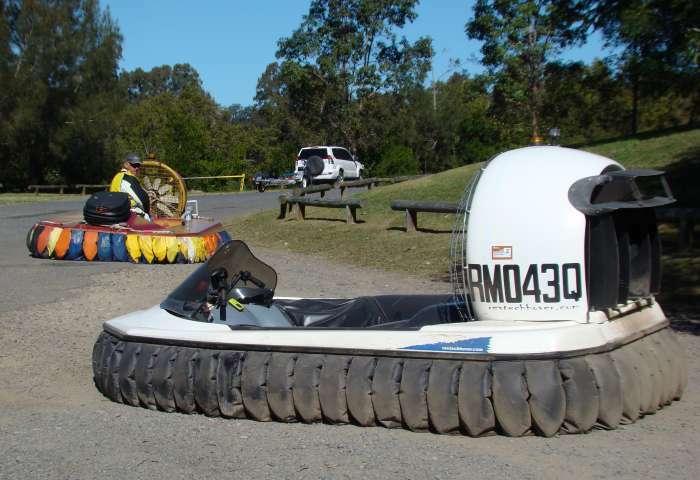 With the flywheel removed and the cavities cleaned and dried, the Bill Baker performed well all afternoon, and Zachary and son Sebastian enjoyed their first ride in a hovercraft. 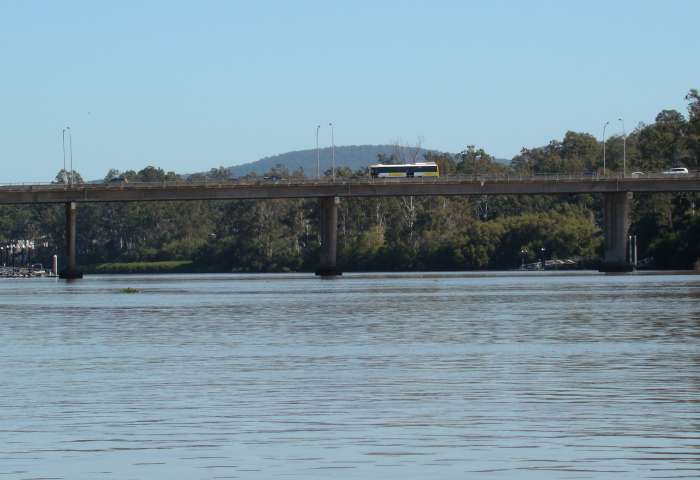 We were intending to use a prominent mudbank next to the City Botanic Gardens to have our morning tea in view of the busy Captain Cook Bridge, however the tide had covered the mudbank on this occasion. We will need to pick our dates and tide times more accurately for this stunt to work to the best effect. Des and Arthur did however do a flyby along the city reach of the river and landed on a beach near the park under the Story Bridge. Today marks the 50th anniversary of the first ever crossing of the English Channel by a hovercraft. 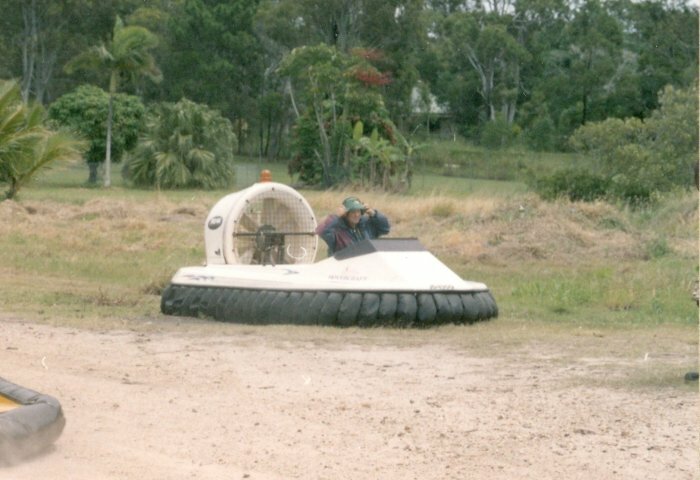 This was the 'Saunders Roe Nautical 1' (SR-N1), the first full-sized proof-of-concept hovercraft, built in 1959 by Saunders-Roe Limited under commission from the British National Research and Development Corporation. The SR-N1, piloted by Captain Peter Lamb and accompanied by the inventor of the hovercraft Sir Christopher Cockerell, crossed from Calais to Dover in 2 hours and 3 minutes. An election for the committe was held with the following results. 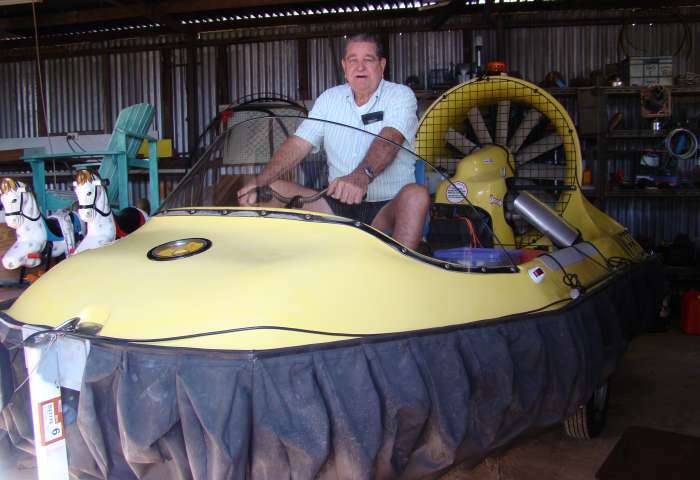 Arthur and Judy Stead spent several weeks travelling up the Queensland coast during August and called in to see a few fellow hovercrafters along the way. Tony Hogben lives at Curra a few kilometres north of Gympie. Tony has built a twin engined craft of his own design using a Honda motor cycle engine for thrust and a Briggs & Stratton for lift. The wooden prop on this craft is chain driven, and the four bladed wooden lift fan is Tony's own unique design. Barry Fennell is in Maryborough and purchased a Viper 4x from Mike Nell in 2002. 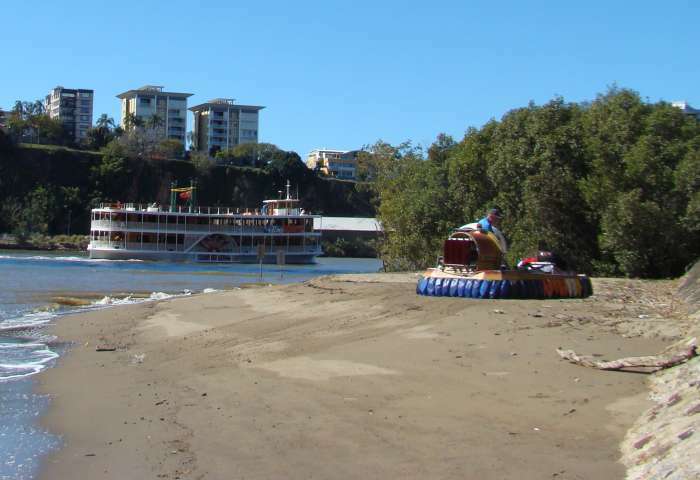 Barry cruises mainly the Mary River area but has made a number of trips to Brisbane to participate in club cruises and in the Expo 88 20th Anniversary celebrations held last year. 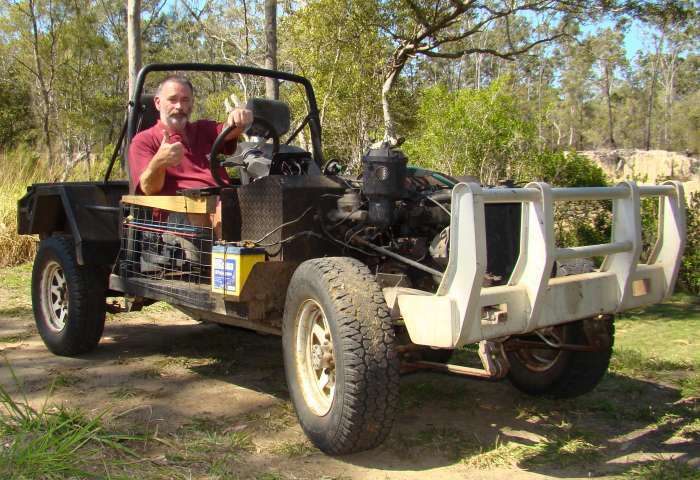 Eric Yeoman lives at Buxton, a few kilometres south of Childers, and is building a Sevtec. 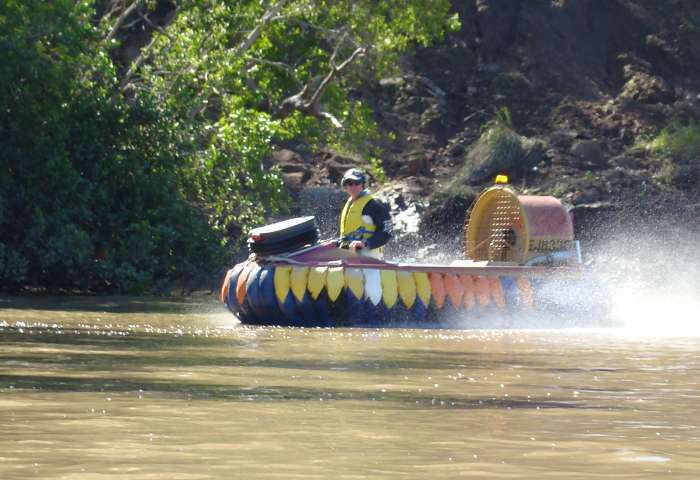 Eric's property runs along the Isis River making it an ideal hovercraft location with huge areas of shallow water and sandbars to play around. Neville Bennett is the Postmaster on Magnetic Island near Townsville and owned an ASV Vortex for about 12 years, selling it earlier this year to Dale Baxter in Brisbane. 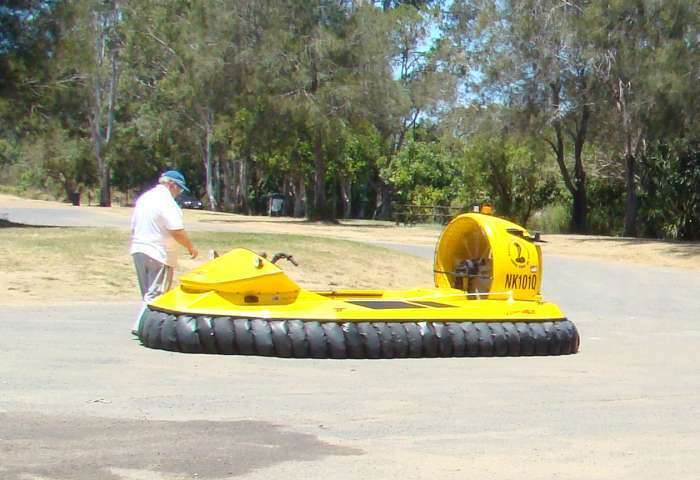 Neville's main area of use was in northern NSW as Queenslands draconian regulations have severly limited the use of hovercraft in North Queensland over the past 10 years. Jack Hickmott from Proserpine recently purchased a Hoverstar LC and is now learning the intricacies of low level flying. One of his favoured areas for hovering is Lake Proserpine, about 25 kilometres to the west. Jack celebrated his 81st birthday during August. Jack Hickmott reports that he has overcome his Rotax 503 motor problems on the Hoverstar. After much investigation into the ignition system, checking values of coils etc. by a very patient auto electrician, John, it was found that the resistor type spark plug caps were faulty and passing current to the spark plugs only intermittently. Replacing these caps with ones without resistors has fixed the problem. New iridium spark plugs have also been fitted at great expense (It's only money). Our concern about the crankshaft being twisted was unfounded. Checks on the internet and information from Rotax agents about timing trigger settings and air gaps proved the crank was OK. Motor now runs very satisfactorily, runs sweetly and starts easily (wonderful). The Rotax agents claim 503 UL motors are bullet proof - maybe they haven't heard of armour piercing bullets. I have purchased a Retro Fit Vertical Lift Thrust Control from Hovertechnics Ltd. This should give us about 30% more of variable lift air which is controlled from the steering position. Instructions and fitting components were all supplied in kit and everything fitted OK. So far we have not trialled the conversion owing to very windy conditions, but we are confident the VLTC will improve operational capabilities of the craft. Will let you know of trial results, if and when the wind drops. Ken Osmond from Victoria has offered a Universal Sea Eagle for sale for $5000.00. This craft was formally owned by George Hu and was constructed for approx $30,000.00. George allowed me to command this craft on the Murray River in the 1998 National Rally and I can report that it is a very reliable long distance cruising craft which can carry 4 adults in a cabin. It is powered by a Subaru and uses a Briggs & Stratton for lift. The thrust propellor is 6 feet in diameter and the large rudders and elevator make the craft a pleasure to control around tight river bends. Contact Frank Beamish on (03) 5628 4423 or 0417 326 833. The next club cruise will be held on Saturday 12th September 2009 at Kirkleagh on Somerset Dam. Meet at Fernvale on the Brisbane Valley Highway at 10.00 am and travel to Somerset in convoy. If coming from the north, meet at Kirkleagh at 11.00 am. Registration is necessary to use the lake and may be obtained at the ranger�s office near the boat ramp. For further enquiries on boating fees call SEQWater on 5426 0188. 7:30 pm - Tuesday, 15st September 2009. 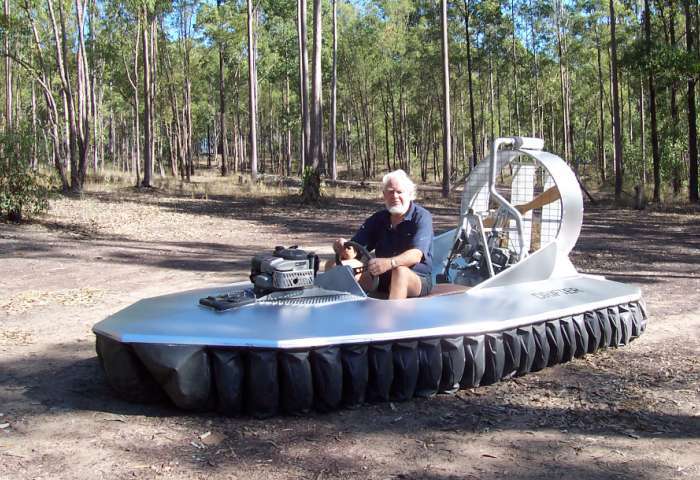 With the demolition of the SAAA hall at Archerfield, future meetings of the Queensland Sporting Hovercraft Club will be held at the offices of Silverline Insulation at 12 Veronica Street, Capalaba.